Police tracked double homicide suspect Jorge Vargas on Sunday evening, a little over 24 hours after they responded with paramedics about 1:15 p.m. Saturday May 6, 2016 to a shooting and crash near Denise Court and Elizabeth Drive. Jorge Vargas, 20, to the home of relatives in Fairmont City, just outside East St. Louis, where he was taken into custody, and brought back to DuPage County. On Monday Vargas gave a videotaped confession, according to police. Jorge Vargas (age 20, 5’10” 230 LBS) was charged with two counts of first-degree murder, and three counts of attempted murder. Vargas was also charged with one count of possession of a controlled substance. Bail was set at $4 million Tuesday for a 20-year-old Addison man suspected of Saturday’s “targeted” shooting deaths of two men and the attempted murder of a third. 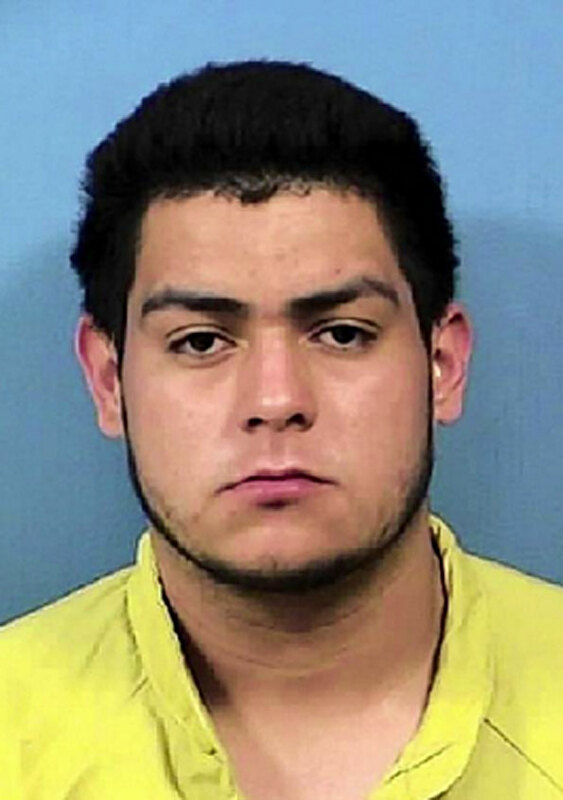 Police say that Kevin Bustos, 17, of Addison and Alberto Rios, 20, of Villa Park — and the third man had parked about 1:00 p.m. Saturday outside an apartment on Elizabeth Drive in Addison so Rios could visit his children. Police said Vargas fired eight shots with a handgun from a third-story window of Rios’ ex-girlfriend’s apartment, where she lived with Rios’ two children. Bustos with gunshot wounds apparently tried to drive away but crashed the car into a tree. A man, whose identity was not released by police, ran from the vehicle and was not struck. When police arrived, Bustos and Rios were found unresponsive inside the vehicle with gunshot wounds. Both were transported to area hospitals where they were pronounced dead. The third man, who ran from the victim’s vehicle, told police that Rios fired one shot back at Vargas. Assistant State’s Attorney Steve Knight said relatives told police Vargas arrived unexpectedly and told them he planned to leave Monday morning for Mexico. Vargas had already purchased a bus ticket, using an assumed name, according to Assistant State’s Attorney Steve Knight. Vargas is scheduled to appear before Judge George Bakalis in DuPage County court on May 22, 2017. If Vargas is convicted on both homicide counts, he faces a mandatory sentence of natural life in prison. Jorge Vargas Double-Homicide suspect Addison, Illinois.